Dr. Spencer started his collegiate education at the University of Hawaii-Manoa, but after a year transferred to Brigham Young University where he received his B.S. in Zoology with a minor in geology. From there he moved to Oregon State University where he received an MA in Zoology with a minor in oceanography. His research was a morphological study of mid-water squid in the Family Gonatidae. To complete his educational transcript, he moved to Fort Collins, where he earned a PhD in Zoology with a minor in geology. His research dealt with the distribution and population biology of Gammarus lacustris, an amphipod of high elevation lakes. During his time at Plymouth he completed sabbatical leaves at U.C. Berkeley, Hawaii Institute of Marine Biology, People’s Republic of China (Suzhou), Institute for Artic and Alpine Research (University of Colorado-Boulder), and Lincoln University (Lincoln, New Zealand). As a fourth generation Californian, he always wanted to graduate from Berkeley, so while associated with the Zoology Department, he completed a Masters in Library Science. His work in Hawaii dealt with the population biology of a coral reef anemone, Antheopsis papillosa. He found that tropical waters can be very cold when snorkeling for a couple of hours without a wet suit. During the year he spent in the PRC, he learned enough Mandarin for two tours of eastern China and also examined the teaching of biology and how the PRC handled environmental issues. While at INSTAR he taught myself GIS and remote sensing and did a demographic study of Ponderosa Pine in Gregory Canyon. In New Zealand, he was associated with the Department of Ecology and worked on a couple of book chapters and examined the forested landscape of the both the South and North Islands. Since full-time retirement in the Spring of 2003, I’ve completed more than 50 book-reviews for Choice, a journal published by the American Library Association. For the past two springs, I’ve given a workshop at the NE Natural History Conference on the applications of GIS in the environmental sciences and will be doing a similar workshop on remote sensing for the spring 2017 conference in Burlington, VT.
Spring 2015—Center for the Environment Colloquia series—Oral presentation on recent books in the environmental sciences. There has been no focus to my research at Plymouth as I’ve been able to explore many aspects of the biological sciences, including its history. I’ve studied Green Shore Crabs at Odiorne Point, NH and spent a month at a marine station in Bangor, North Wales doing some physiological work on the same species. As noted above, in 1981-82 I did work on coral reef organisms at the Hawaii Institute for Marine Biology, Kaneohe, Oahu and returned to the same location the summers of 90, 92, 94 and 96 for additional work. I spent the academic year of 1997-98 in Boulder and in addition to the demographic study of Ponderosa Pine in Gregory canyon, spent some time revisiting collecting sites in Rocky Mountain National Park, collecting aquatic invertebrates. I was the co-founder of the Division of the History and Philosophy of Biology of the American Society of Zoologist. The integrative nature of the division later was one of the elements to give rise to a name change of the society to the Society for Integrative Biology. I organized for the ASZ two sessions at the annual meeting for the division. One resulted in a research topic on John Muir as a glacial geologist (yet to be published). Another resulted in a paper on J. Roger Bray a student of the plant ecologist, John Curtis at the University of Wisconsin (Written, but never published). I served one term as President of the New England chapter of the National Association of Geology Teachers. I serve as the Vice Chair of the NH Rivers Management Advisory Committee, representing the NH Association of Conservation Commissions. I have served as chair of the Holderness Conservation Commission since the late 70s and for the last two years have served as chair of the Holderness Energy Committee. 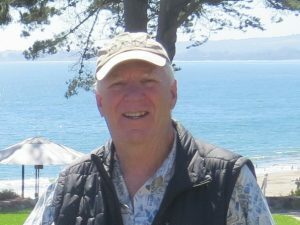 I am chair of the Environmental Subcommittee of the Friends of the Pemi-Livermore Chapter. In my spare time, I serve as Treasurer of the Plymouth Congregational-UCC church and as Treasurer of the United Campus Ministry Program at Plymouth State University.